Find The Paw-fect Gift For Your Dog! 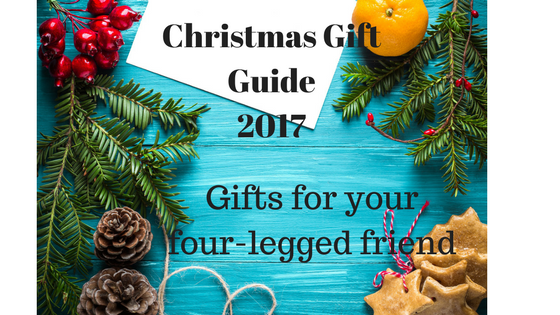 | Christmas Gift Guide 2017 | Featuring Dog Buff, Pooch & Mutt & Equafleece. Hello and welcome to my Gift Guide For Dogs 2017! I have a few ideas here which may just be perfect for the four legged family member this Christmas! From a fleecey dog jacket, a cool dog buff to Christmas dinner flavoured tube treats I'm sure there's bound to be something here which suits! 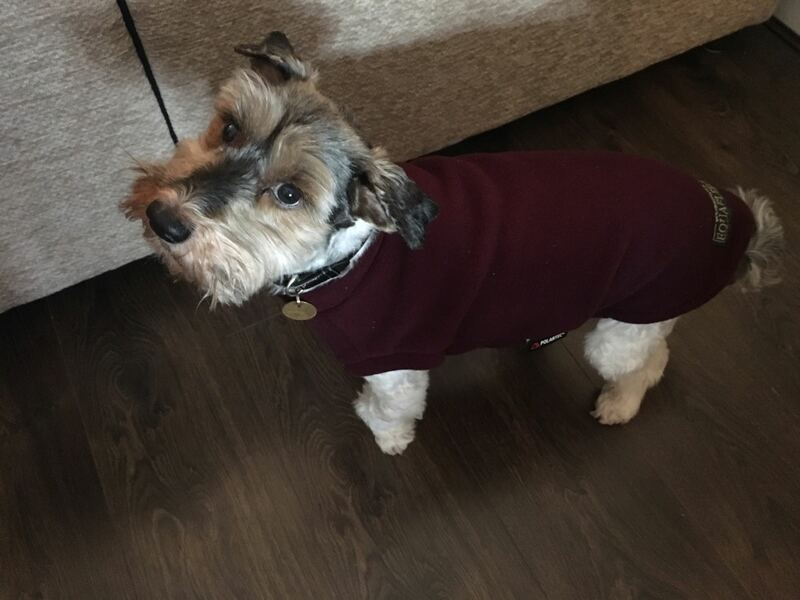 I have to give big props to my sister's new dog Pickles here for modelling the Equafleece, I'm not sure it's for him but he does look so cute in it! This Christmas wrap your dog in an Equafleece Polartec fleece for timeless style. Equafleece’s unique British design and Polartec fabric appeals to discerning dog owners making winter walks warmer, drier and less muddy! The velvety Polartec fleece fabric is 100% rainproof, unlike a woollen sweater or some flimsy mackintosh fabrics.Offering warmth as well as protection from the wind rain and snow, Equafleece is thoughtfully designed to provide a valuable extra layer that protects the undercarriage too. Ideal for single coated breeds like Bulldogs, Pugs or French Bulldogs helping them stay out longer on a winter walk. As an asset for elderly dogs whose arthritic conditions can worsen in winter months Equafleece is tailored in 32 sizes to ensure a perfect fit for the largest Great Dane to the smallest Chihuahua. The super absorbency of Equafleece's Polartec fabric will transform a ‘smelly’ wet dog into clean dry dog within minutes. Just pop an Equafleece onto a ‘soggy doggy’ after a muddy walk. Any smells or debris will be trapped inside. Leaving your car, home and office clean and dry. 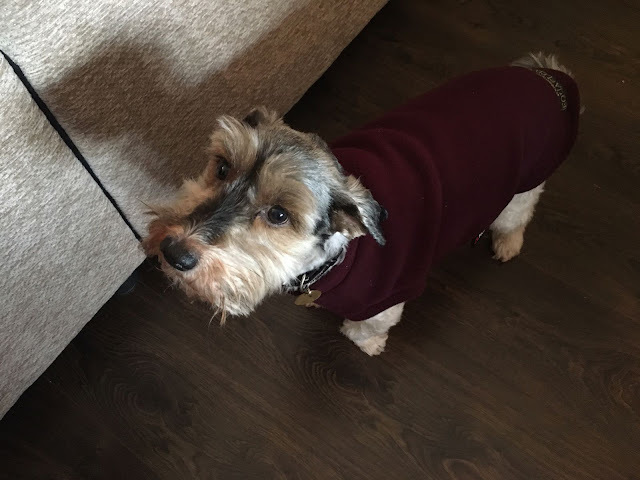 Without any uncomfortable straps or fastenings, Equafleece does not restrict a dog’s movement in any way and is easy and quick to put on. Available in 12 stunning colour ways including orange neon ‘High-Viz’, this Christmas wrap your dog in an Equafleece and enjoy winter walks together, whatever the weather, even in the dark! I just love how cute Pickles looks in his coat!! It fits him perfectly and if he did like it I'm sure it would be great to put on after a walk due to the nature of the coat and it would definitely save my sister's car from getting dirty! 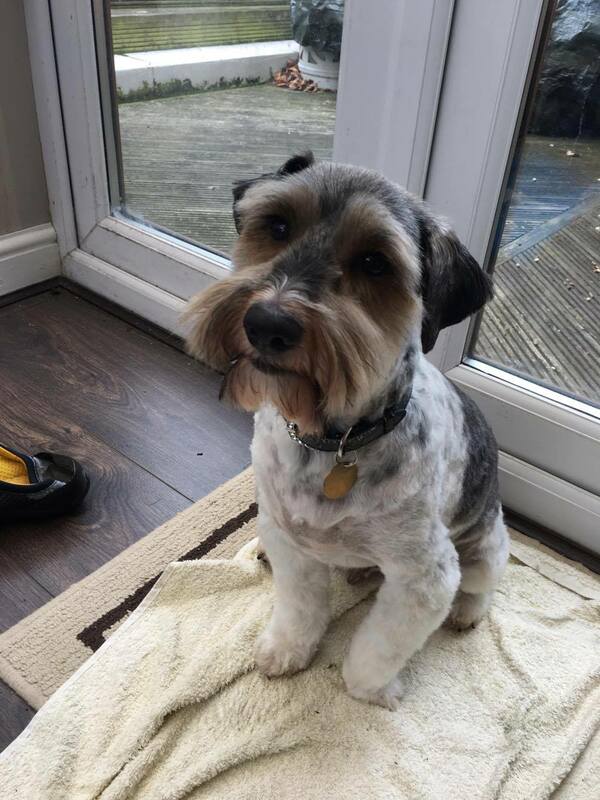 Prices start from £15 for the smallest dog, ranging up to £50 for the biggest but I can't say a fixed price because each dog is different and you need to measure your pup to get the correct fit. There's a handy guide on the Equafleece website which shows you how to do just that! Brilliant! 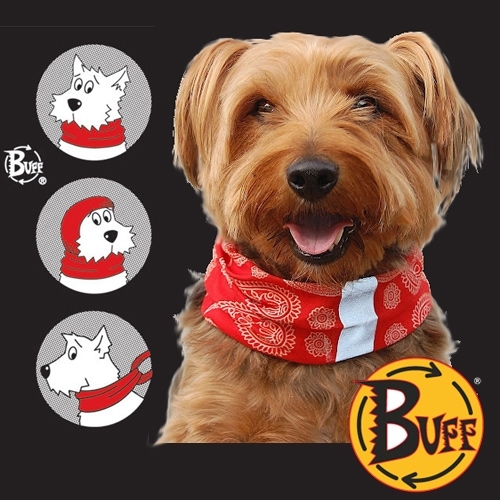 Available in two sizes, one for larger breeds and one for smaller breeds, the Dog Buff (a microfibre tubular neck scarf) will keep your dog both warm and safe this winter. 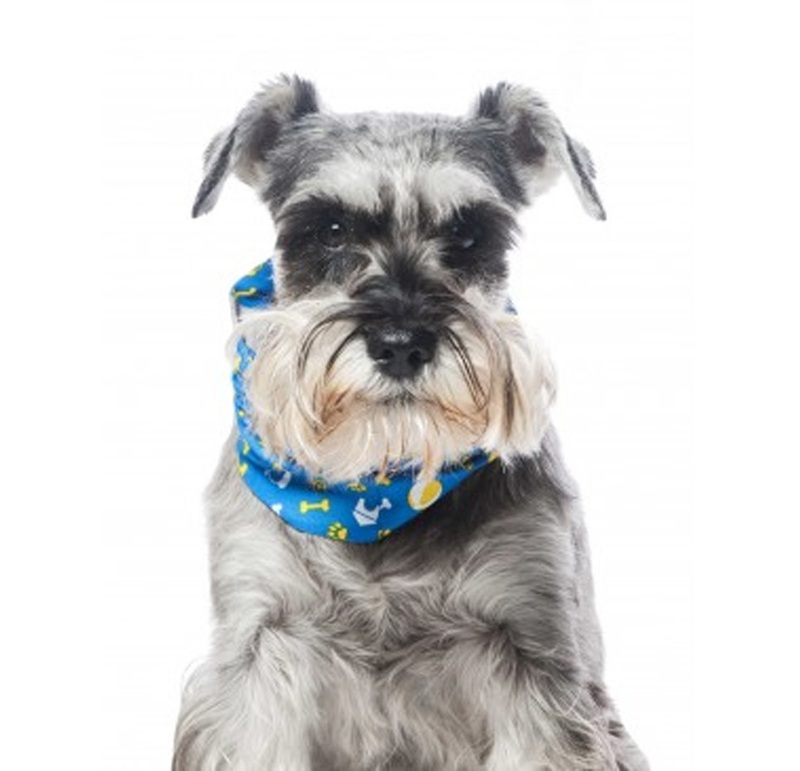 Available in a range of colour and designs (that match the core collection for adults), the Dog Buff also features a reflective strip for increased visibility. 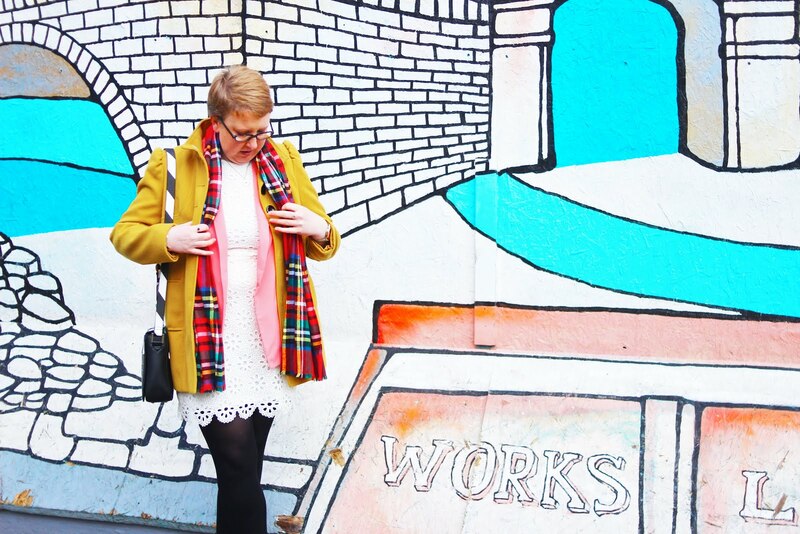 You may recognise Buffwear from my Gift Guide for Her & Him as this is from the same company! Designed to match with the adult collection, these dog buffs make the paw-fect addition to your dog's wardrobe! With the reflective strips you can relax knowing that you will be able to see your dog during the dark Winter walks, brilliant if your hound happens to be dark in colour! Prices range from £10-£11 so would make an idea stocking filler for your four-legged friend this Christmas! I love how you can get matching ones for your furry pal, our pets are becoming more and more part of our families then it only makes sense for their wardrobe to reflect our own! As you can see from the above picture there are plenty of ways that the Dog Buff can be worn, depending on how accommodating your pooch is of course!! Find more on the Dog Buff website. This year your dog can join in the fun of Christmas dinner, without you having to change their food, or give them any leftovers. 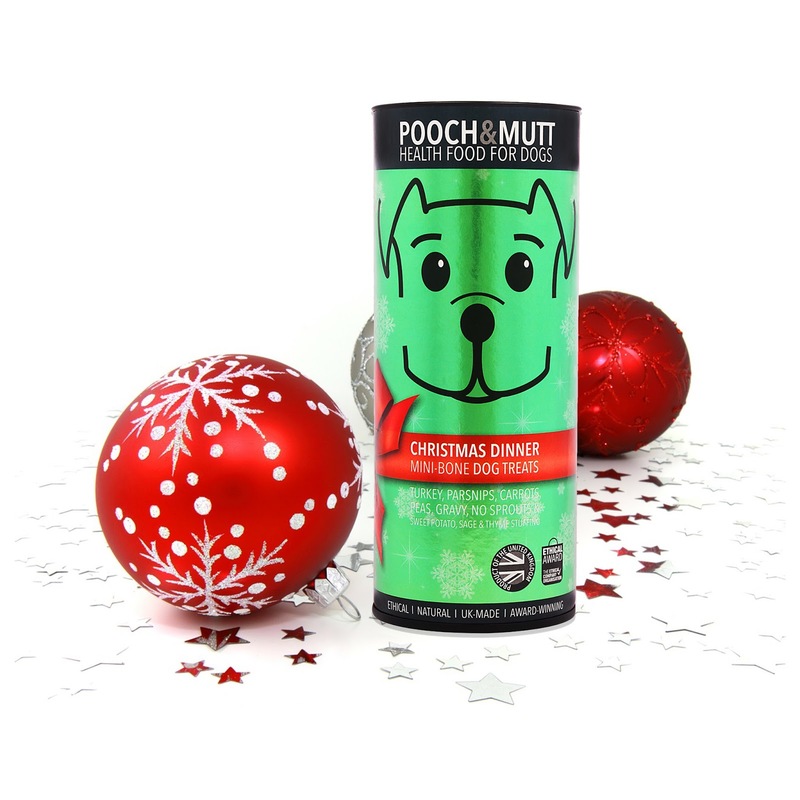 Pooch & Mutt's limited edition, healthy Christmas Treats are the perfect gift or any festive fido or holiday-loving hound. Christmas Dinner Mini-bone dog treats. With Turkey, parsnips, carrots, peas, gravy, NO SPROUTS and sweet potato, sage & thyme stuffing. RRP: £3.50/ tube. Buy 6 tubes for £17.99 and save £3. There are a variety of 'normal' treats available too if you want to continue treating Fido throughout the year. Pickles has again been testing these out for me and he absolutely loves them, he loves his food and is always following my sister into the kitchen in the hopes of something tasty coming his way! We all want to treat our pets, especially at Christmas and sometimes we they can't always handle a full on Christmas dinner so these treats make the ideal alternative without compromise. So there you have it, just a few ideas for you in case you are wanting to spoil your dog this Christmas. Pickles has been very lucky to receive all of these before the big day but I had to get his approval before the post went live! He highly rates the treats and would like some more please Santa, isn't too sure about the Equafleece but knows that most doggies would really love it and quite likes the Dog Buff although he would prefer it if Mum didn't keep putting on him so much....! Please let me know if your furry friend would love to find these under the tree come 25th December and if there's anything you'd like to add please let me know!